Iceland is the magical land of fire and ice, including immense wealth of water, thanks to the huge number of volcanoes and geysers. 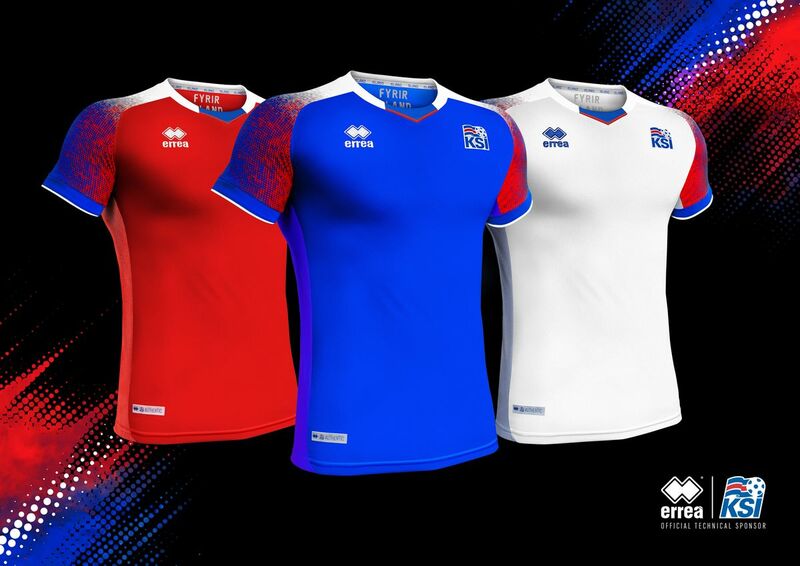 All of this harmonises in the new kits, which Erreà Sport has designed for KSÍ – the Football Association of Iceland and its first ever history making appearance in the FIFA World Cup. The new Iceland World Cup kits 2018, Iceland’s new home and away uniforms for the upcoming 2018 World Cup in Russia. 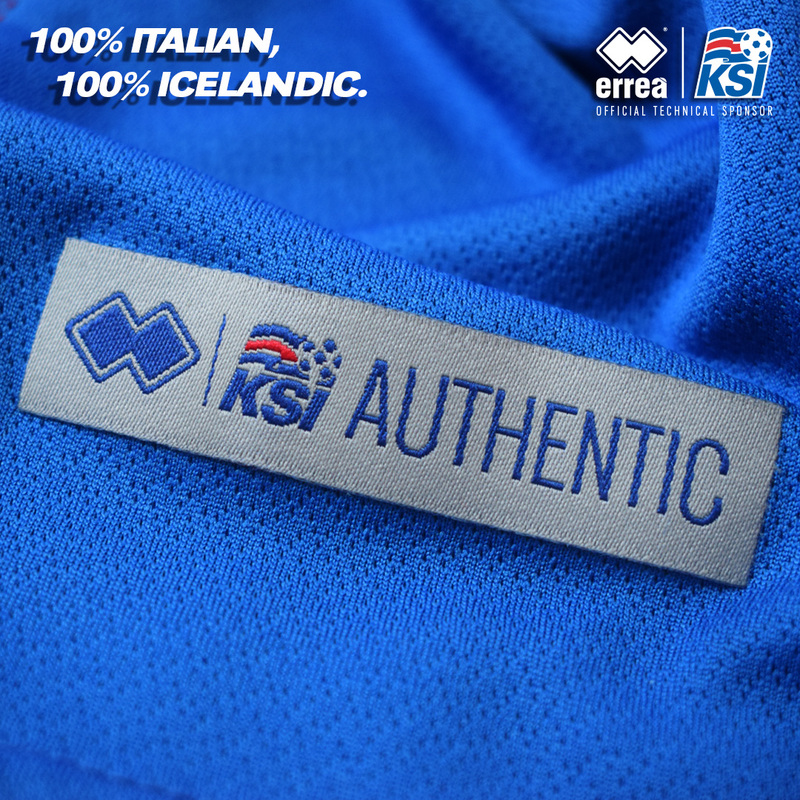 Made by Errea, the new Icelandic WC 2018 shirts were officially unveiled on 15 March, 2018 by the Italian manufacturer and the KSI. Errea has opted to combine the elements of ice (represented by the white), water (blue) and heat (red) for the new Iceland World Cup kit. The home strip is the blue one in the pic below, with the white set to serve as the nation’s away/alternate top. The jersey has a close fit emphasized on the combination of two fabrics. The first, positioned in the central part of the jersey, is soft, breathable and extremely comfortable and is embellished and combined with a second yarn, a special mesh placed along the sides of the jersey. In an emblematic way, the mesh fabric sewn along the edges, reveals the underlying fabric which, in the case of the home strip, is red, as if to underline that under the blue colour of the jersey and the player’s skin there flows the omnipresent power of fire and the beating heart of passion. 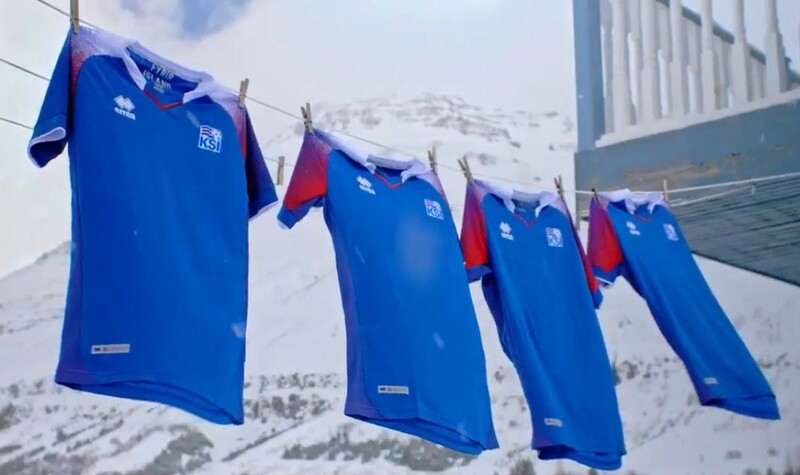 To emphasize the strong national identity, the pride and the intense sense of community that distinguish the Icelandic people, there are two iconic elements included in the new kit. 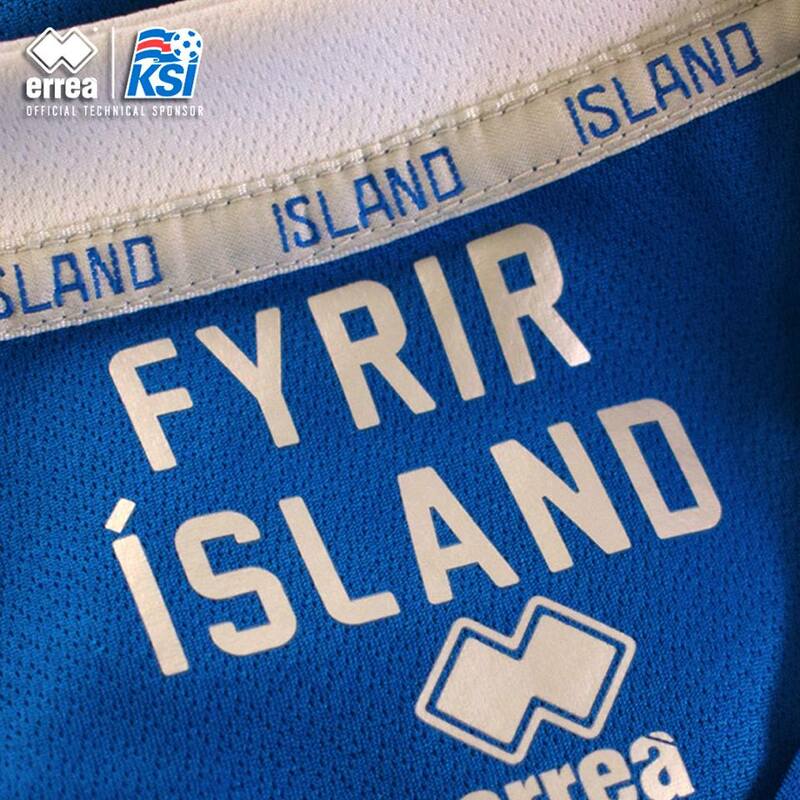 The motto already presented for the 2016 European Championships “FYRIR ÍSLAND” (“For Iceland”) positioned inside the neck and the national flag on the back of the jersey. On the other hand, the away strip is predominated by white representing the ice, while still keeping the coloured graphics that characterize the sleeves in such an original way. White is also the colour of the mesh along the sides of this second variation, where the element showing from underneath is the blue of the water. Blue is also the colour chosen for the jersey numbers and names.